Hello to my newest, precious ePals from the United Kingdom. They all live with Robert in peaceful Tyne and Wear which is in the United Kingdom in a place called Newcastle upon Tyne. 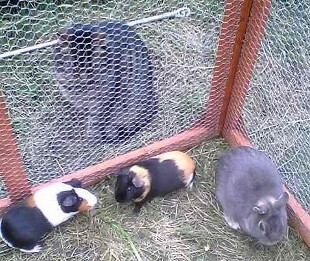 Look how clean their cages are. WOW! Good job and thanks, Robert! Pretty Birdie! 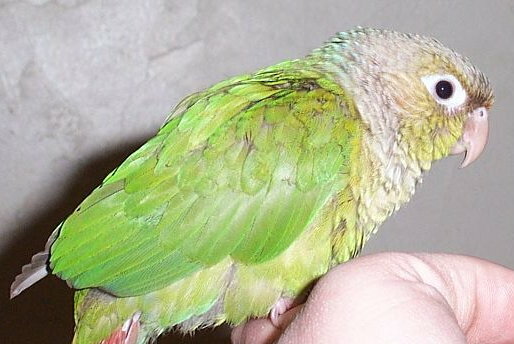 This is Shamus, my Cinnamon Green Cheek Conure ePal from Massachusetts, in the USA. Shamus thinks my costumes are wicked cute. I think you're wicked cute, too, Shamus! Rio says to tell you hello from her. 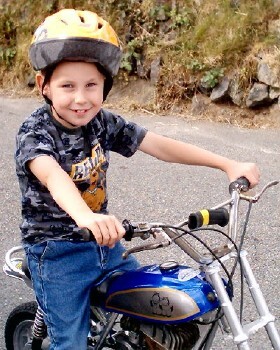 And now, back we go, over to Cornwall England to say hi to my ePal, Ben, seen here on his uncle's monkey bike. Notice Ben always wears his helmet. That's a good safety tip for all of you kids out there. Thanks, Ben! 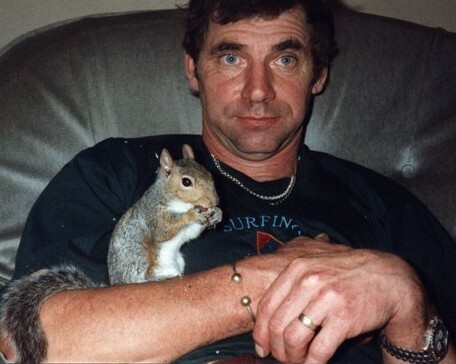 While we're over in the UK, let us stop in and say hi to my new little fuzzy ePal Cyril, the English Squirrel, and Tom. 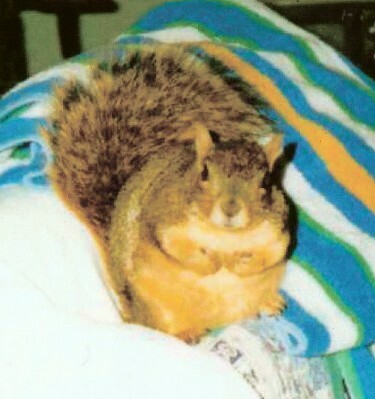 Cyril is too busy eating to say anything but you can tell that he's happy. Tom is a poet and photographer. Check out one of his fabulous poems on my page called 'Out on a Limbrick'. Thanks, Tom, for helping to get the word out, that all of us in the wild need a helping hand, to preserve our natural habitat. Occasionally I have ePals who are a mystery for a reason. 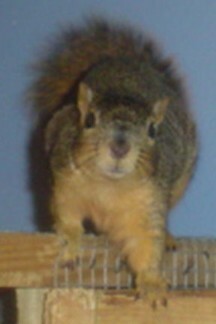 This cute little fox squirrel ePal of mine is named Punkin and her mom is Renee. Their whereabouts has to remain a mystery because of laws in certain places where having a pet squirrel is not permitted. I would never want to get my little ePals in trouble so I would never reveal their whereabouts even if I knew, which I don't. That's my story and I'm stickin' to it! I do know that Punkin just turned 7. Happy birthday to my new little buddy, Punkin! Here's another one of my mystery ePals. These two cute photos are of Sunny. Her real name is Sunshine and she's a 4 year old fox squirrel who also lives in a state where it's illegal to have a pet squirrel. This is really making me mad! I love being with my human mom and I don't see a doggone thing wrong with it. 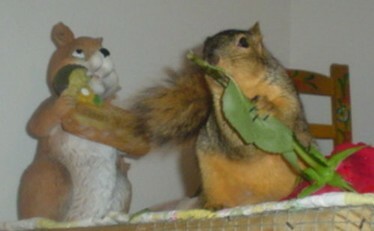 Maybe I, Sugar Bush Squirrel-The Superstar Squirrel, should try to get the government to make it legal in all states for people to have pet squirrels. I've sure got the nuts to give it a try!!! Then Punkin and Sunny could tell us where they live. To finish up my third ePal page, I'd like to introduce all of you to Starsky, the Rat, from over in the United Kingdom. 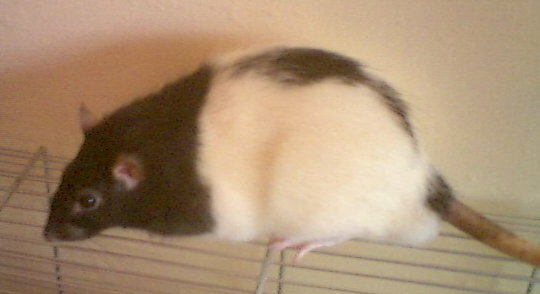 Wow, and a fine handsome rodent he is! Here's what Andy, his dad, had to say about my web site: Thank you very much for brightening up my day with your excellent site. More people should do the same to put a bit more happiness into the world. Thanks so much, Andy, and it's gonna be fun having Starsky as one of my new ePals!